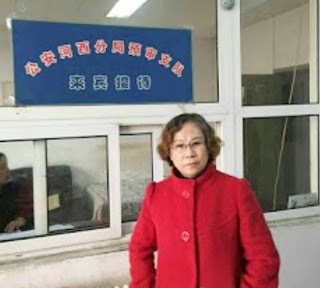 (Shenyang, Liaoning—April 8, 2019) In just hours, Li Yuhan, a lawyer imprisoned after she stood up for the rights of another attorney during a nationwide crackdown on their profession, will stand trial in China’s northeastern Shenyang. Li has been in custody since Oct. 9, 2017, when she was placed under criminal detention for allegedly “provoking troubles.” A month later, authorities arrested her, adding a fraud charge to her case in March 2018. During her time behind bars, she has been held in a detention center in Shenyang, where she has experienced so much mistreatment that she went on a hunger strike. In 2015, Li provided legal aid to Wang Yu, a lawyer jailed in 2015 as China swept up people who defend victims of human rights abuses. Li’s trial is scheduled for April 9 Beijing time, and, because Chinese authorities have a history of wrongly accusing, imprisoning, and maltreating human rights lawyers, ChinaAid is calling on the international community to urge China to immediately and unconditionally release her and cease their persecution of individuals who attempt to defend the rights of others.